Injured by Cook Celect or Cook Gunther Tulip IVC or inferior vena cava filters in California? Suffered perforation, embolism, breakage of the device, required surgery to remove the device? We can help. The Dr Shezad Malik Law Firm is accepting Bard and Cook Celect and Cook Gunther IVC Filter related injury cases in all 50 states, including California. If you or somebody you know was injured by an IVC filter, including migration, perforation or embolization of the device, you should contact our lawyers immediately for a free case consultation. Please use the form to contact our team or call us toll-free 24 hours a day at 888-210-9693 ext 2,. Lawsuits involving inferior vena cava (IVC) filters manufactured by Cook Medical have been centralized in a federal Multi-District Litigation (MDL) in Indiana. The Judicial Panel on Multi-District Litigation centralized 27 lawsuits pending in 11 district courts into the U.S. District Court for the Southern District of Indiana. Federal judges selected Indiana because half of the lawsuits are already pending there, and Cook Medical is headquartered in Bloomington. There are at least 100 Cook Celect IVC filter or Cook Gunther Tulip IVC filter lawsuits as of September 2015, that are centralized in the Indiana federal court system as part of the MDL. The plaintiffs allege that the medical devices were defectively designed and caused patients to be injured after receiving the filters. The filters are designed to reduce the risk of pulmonary embolism (blood clot in the lung) following a deep vein thrombosis or blood clot in the legs. Inferior vena cava filters (IVC), are implantable medical devices used in patients who are at high risk of pulmonary embolism. The devices are used when anticoagulant medication is contraindicated, usually because of bleeding problems. The metallic devices are implanted in the inferior vena cava, with a number of struts that extend out to trap blood clots before they can travel up to the lung. 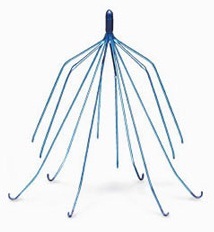 Some IVC filters are associated with metallic failure, where the struts break off, causing perforation of major blood vessels, strokes and deadly bleeding if the struts puncture blood vessels. According to a study published in the Cardiovascular Interventional Radiology in April 2012, 100% of Cook Celect and Gunther Tulip IVC filters perforated patients’ vena caval wall within 71 days of being implanted. The study also found that 40% of the filters became tilted and out of position. A study published in the JAMA Internal Medicine in March 2013 demonstrated that less than 10% of filters evaluated in the study were successfully removed from patients and 8% of recipients of IVC filters suffered a pulmonary embolism despite the device’s presence. In August 2010, the FDA issued a warning about the risk of IVC filter complications, stressing that they had received more than 900 adverse events, where the filter failed, travelled to other areas of the body and caused severe injuries. The FDA recommended that doctors remove retrievable IVC filters and urged caution in implanting IVC filters. Similar IVC filter injury claims have been filed against C.R. Bard, the manufacturer of the Bard Recovery IVC Filter and Bard G2 IVC Filters. According to plaintiff allegations, Bard knew for years that their IVC filters were prone to fracture, which can cause severe complications, including death, but failed to warn doctors and patients. The U.S. Judicial Panel on Multidistrict Litigation (JPML) ordered all filed Bard Inferior Vena Cava filter injury, perforation and migration lawsuits, to be consolidated and centralized before one federal judge in Phoenix, Arizona for coordinated pretrial proceedings. Existing cases pending throughout the federal court system have been transferred to U.S. District Judge David G. Campbell, who will oversee the multidistrict litigation (MDL) proceedings. Bard Peripheral Vascular is the manufacturer of these Bard IVC filters and is headquartered in Phoenix, Arizona. This consolidation and centralization of Bard IVC filter cases only applies to cases filed in the federal court system. There are less than 50 filed Bard Recovery filter and Bard G2 filter lawsuits currently pending in U.S. District Courts nationwide. As the litigation matures it is expected that the final tally will consist of several thousand injury cases. The MDL streamlines the trial process, by preventing duplicative discovery and all the plaintiffs and defendants are gathered before one judge. MDL has been established for all Cook Medical IVC filter lawsuits, involving injuries with the Cook Celect and Gunther Tulip filters. There are more than 200 complaints over those products centralized before U.S. District Judge Richard L. Young in the Southern District of Indiana. Lawsuits filed against Cook Medical over their defective IVC filters are gaining traction and moving towards trial. U.S. District Judge Young recently announced that a group of 10 Cook Medical IVC filter lawsuits have been chosen for early trial dates that will begin late 2016. It is common in complex multidistrict ligation involving pharmaceutical and medical device cases, to have mini trials, known as bellwether trials. A small group of cases will be prepared for early trial dates. The outcome of these trials are designed to aid settlement negotiations, especially if the jury sides with the injured plaintiffs and awards a large damage award or in cases involving gross negligence, awarding punitive damages, which are designed to punish the company for its reckless behavior.